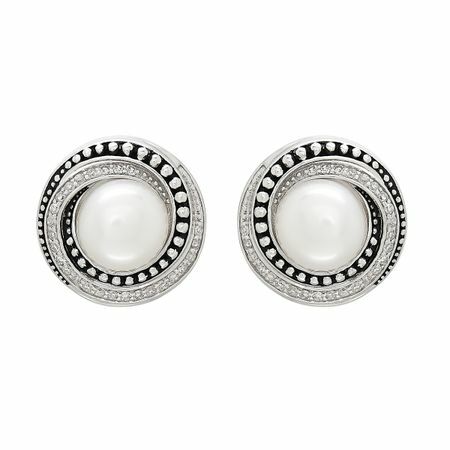 Throw your outfit for a twist with these swirled studs. 7.5-8 mm freshwater button pearls are haloed by swirls of rhodium-plated sterling silver and round-cut diamonds, totaling 1/5 ct, set in black enamel. Earrings measure 9/16 by 9/16 inches and feature posts with friction-backs.